awwww adorable! He’s so cute 🙂 Poor guy he looks hungry!! It’s almost archery season here. Maybe Luke could get some practice shots in! That is so awesome!!! I live in Ontario, which is essentially the centre of Canada, a few years ago I went to the West Coast to British Columbia. Here, if a bear is on the loose it makes headlines and everyone panics. 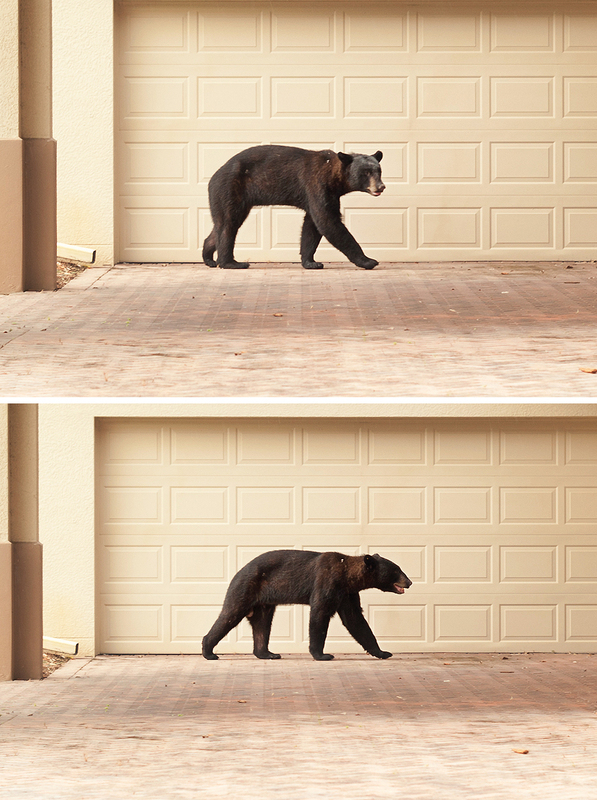 When I was in BC I was walking around my resort and a black bear was walking in front of me. I froze and just stood there, along with all the other tourists. It was interesting to watch the ‘locals’ as they were walking around it and paying no attention. It was a definite culture shock… in my own country! Wow! What a funny story! A black bear definitely makes headlines in our small town also. Even though it’s becoming quite common to see them, it still scares everyone! 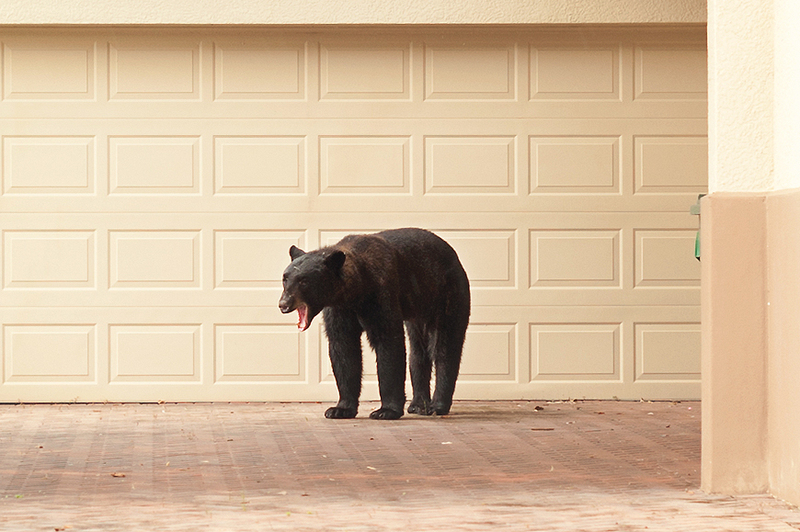 Well, I know that black bears are supposedly “harmless”, but he looks pretty big. Glad you were in your car. 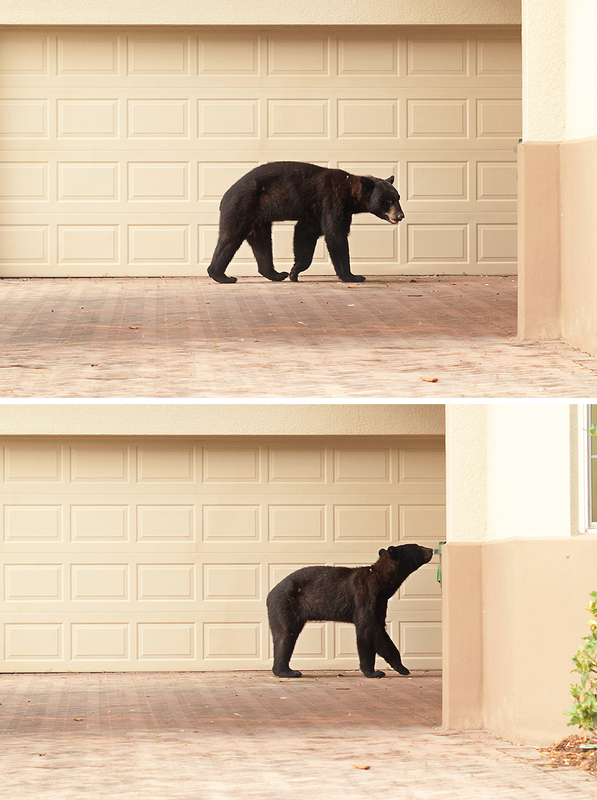 That is a huge bear walking around the neighborhood…if I saw that in my driveway, I would freak! Oh My Gosh, He’s huge.